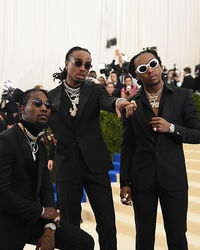 Migos is a musical hip-hop trio comprised of members Quavo (real name Quavious Marshall), Takeoff (real name Kirshnik Ball), and Offset (real name Kiari Cephus) from Atlanta, GA. Katy Perry collaborated with Migos on her song “Bon Appetit,” which was released in April 2017. She received backlash for featuring them on the track because of homophobic and misogynist remarks they have made. 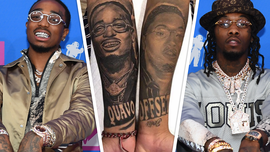 In March 2014, Migos was involved in a shootout in Miami, but escaped uninjured. 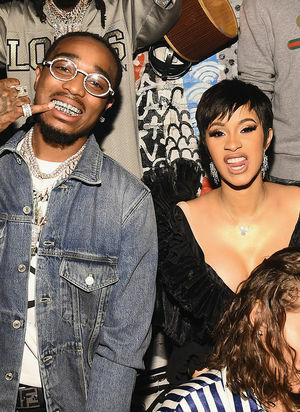 Member Quavo is rumored to be dating Chris Brown’s ex, Karrueche Tran. Your Real Problem ... You Show Zero Respect to Your Elders!! !